9x12, xxiii + 86 pp. 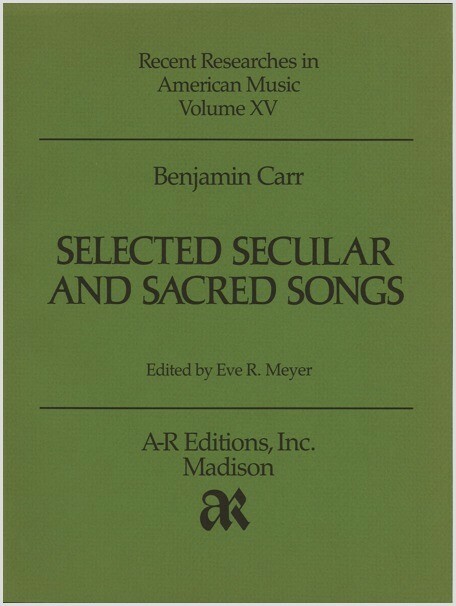 As a versatile performer, distinguished teacher, and prolific composer and publisher, Benjamin Carr made major contributions to the vocal repertoire and to the elevation of musical taste in early America. His songs are noted for their graceful melodic lines and sensitivity to the text, especially in the settings of poetry by Shakespeare and Scott.